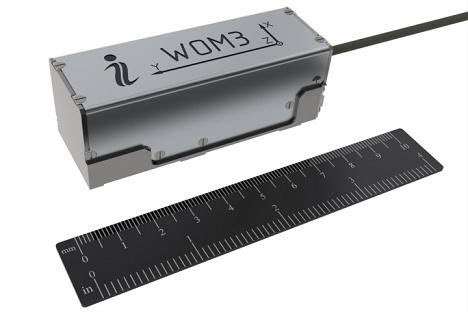 Developed for the US Army under its OneTESS program, Inertial Labs WOM provides highly accurate weapon orientation for both small arms direct fire and long range indirect fire weaponry. Within training and simulation systems the WOM is used to determine weapon orientation at moments of shot firing. With this information it is then possible to calculate the trajectory of rounds fired from different weapons to understand the success or failure of target engagements. Using advanced filtering techniques Inertial Labs WOM makes use of inertial sensor technologies of gyroscopes, accelerometers, and magnetometers to determine the final weapon orientation. Within Inertial Labs proprietary algorithms, the system takes the cumulative information from all sensors and provides the best overall orientation estimation. During periods of unpredictable magnetic interference, the system recognizes this automatically and shifts its orientation calculation to rely more heavily on gyroscopes. In contrast, during operation in good magnetic environments, magnetometers are relied on more heavily to provide continuous corrections to the data provided by gyroscopes bounding its error and eliminating drift over time. The target weapons for which the WOM is designed (and tested on): rifles (M16/M4), grenade launchers (M203/M320), machine guns (M249/M240/M2), mortar systems (61/80/120mm), and towed artillery (105mm Howitzer).